First things first, I do apologize for being MIA these last few weeks. Posts every other day is not my jam and I don't intend to stick to that schedule for much longer. I'm not trying to be a drama queen or imply that I'm not capable of blogging alongside moving in to a new place, people clearly handle that just fine all the time, but after working a full day (we foolishly did not take off from work to do any of it, not aided by the fact that our days off didn't match up) coming home and dragging boxes up the stairs, when I finally sit down I want to do just that. And maybe watch an episode of Arrested Development or two before passing out. A lot of lessons have been learned. I'll get back into the swing of things soon. I'm hoping that happens before the arrival of the couch, but can't make any promises, mostly because I don't know when that will be. If it shows up tomorrow those miscellaneous bags occupying the living room rug are screwed. Now on to happier topics of conversation, like happy hour and the fact that it's Friday. 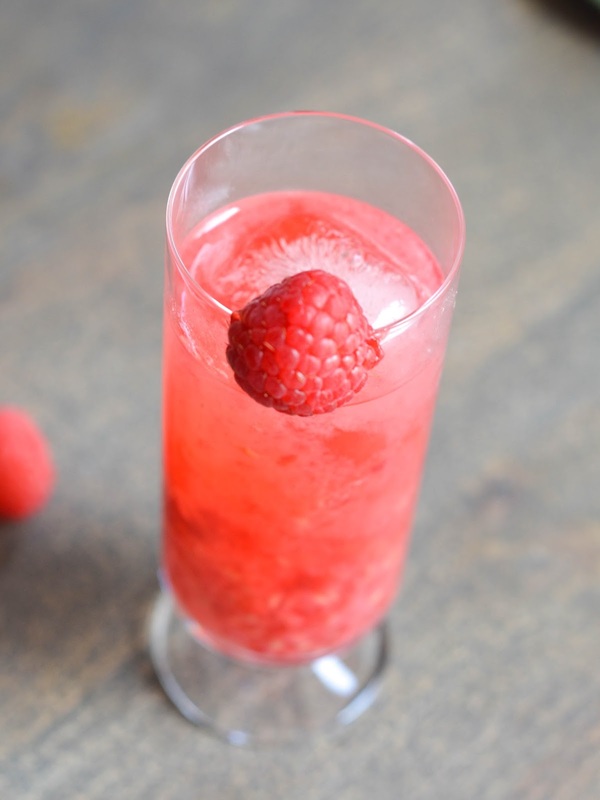 This week's drink of choice is a raspberry collins, selected because I bought raspberries earlier in the week to sprinkle over a salad with roasted chicken and goat cheese. Yum. Still drooling over that one. It's going to be a summer go to meal for sure. 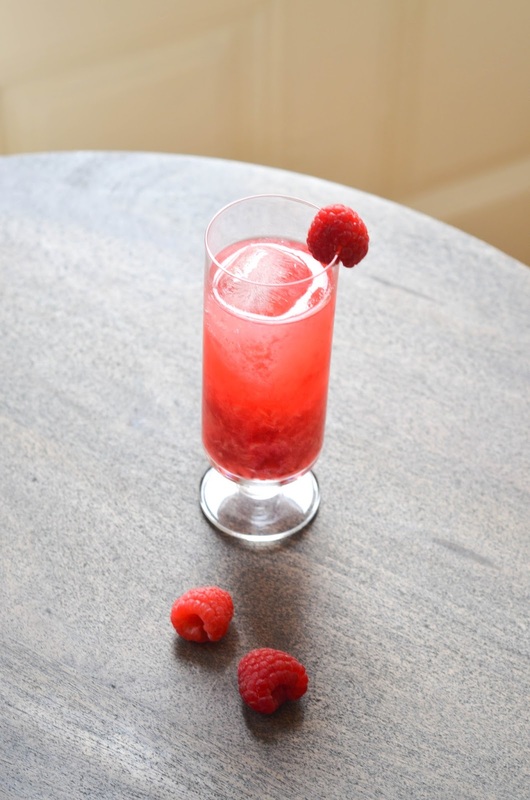 Like most things I make, this drink is quick and simple, far from complicated. And it doesn't hurt that it's bright pink and tropical looking. 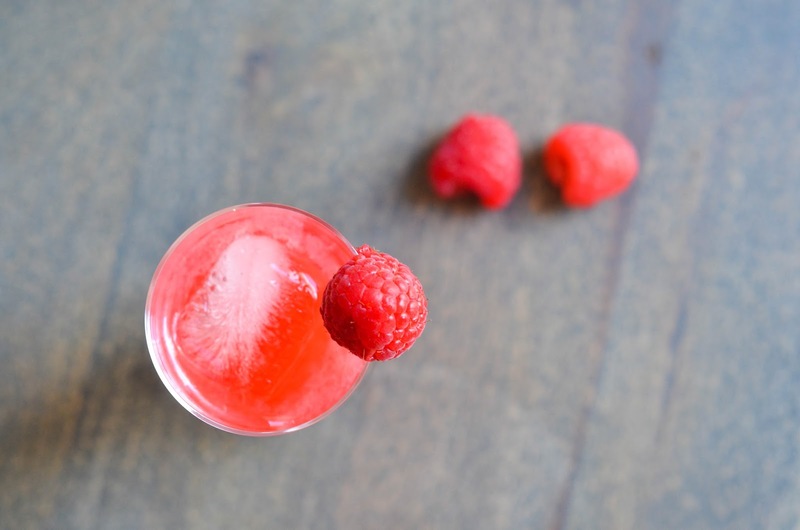 Muddle raspberries with simple syrup in a large glass. Add lemon juice and gin, stir, and top with club soda. And there you have it. Have a wonderful weekend! Just stumbled across your precious blog!! Oh Yum oh I think that drink ingredients needs to go on my grocery list today for the weekend!! Hope it's a glorious one for you. Hugs! You are my spirit animal. Get it? Sometimes I think I'm punny. I need to make this! Yum! So simple but sounds so delicious!! Thanks for sharing! 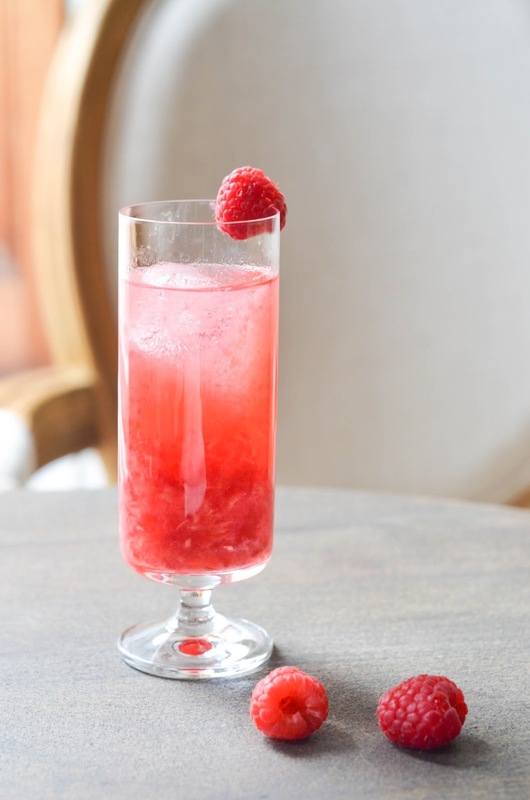 This drink looks so pretty and is probably the best way to deal with the moving situation. I'm so impressed you've kept up with posting throughout such a busy time! I shut down real fast haha. I need to work up to posting every other day.